Last month, all five committees met to continue making progress towards releasing our plan by the end of this year! What were our volunteers been up to in July? The Health Care Access Committee made great strides as they have formed three subcommittees that will work target specific areas for the plan. They have also already created an action plan matrix that will help them create action steps to help us reach our goal of getting to zero by 2030. 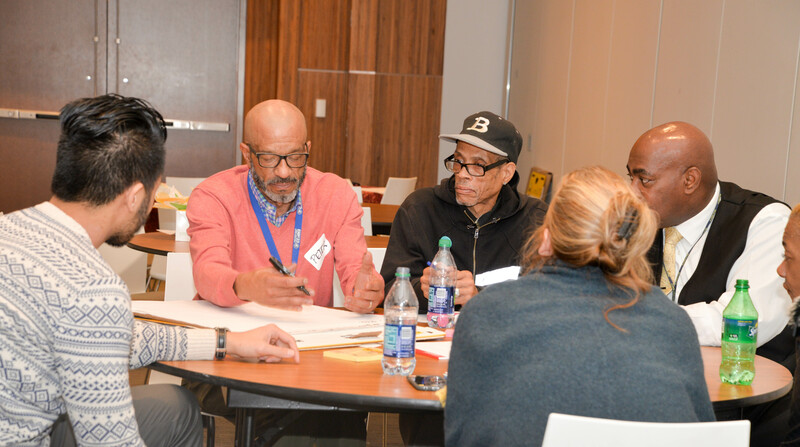 The Housing Committee is working on developing a strategy to collaborate with the two other HIV housing groups in Chicago, the CAHISC Housing subcommittee and the HIV Housing Taskforce. They are also working on extracting housing data from the data pool we have to better inform their recommendations. The Research, Evaluation, and Data (RED) Committee has met and discussed how they will begin helping other committees with their data needs. They have also made plans to determine the feasibility of creating a Getting to Zero dashboard similar to that of New York state’s; they intend to speak with people from New York about this shortly. The Social Determinants of Health Committee has also formed three subcommittees called the Structural, Social, and Behavioral committees. They have made great progress and have already begun drafting recommendations to use in the final plan. The Communications Committee has created a partnership promotion guide that is posted and available to use on the Getting to Zero Illinois Basecamp and available for download here. They also recently published a blog post about the Kick-Off event and are working on a media strategy for Getting to Zero Illinois for the upcoming year. There is a new GTZ-IL workgroup forming: the Style and Messaging Guide Working Group. Its members have begun working on a guide to help us frame how we talk about HIV in the most stigma-free way possible, consistently use people first language and more. This group’s is building a document for GTZ-IL based on language guides and resources compiled by various groups the HIV community, including Positive Women’s Network – USA and HIVE. People all over the country are working to bring an end to the HIV epidemic by writing and implementing Ending the Epidemic (EtE) plans. Treatment Action Group has compiled many helpful resources on this topic. Learn more here, including common features of EtE plans and addressing social justice and structural barriers as core Issues in the EtE process. The next large group call will be Wednesday, September 12, 2018 at 11 a.m. instead of September 5 to accommodate for conferences. Please contact Sara Semelka (ssemelka@aidschiago.org) if you want to join our information list or become more involved in the Getting to Zero Illinois initiative.